The first 45 Earl Brutus LP vinyl orders will receive a copy of the unreleased 7" vinyl Earl Brutus Display Purchasing Power. One per order. While stocks last. 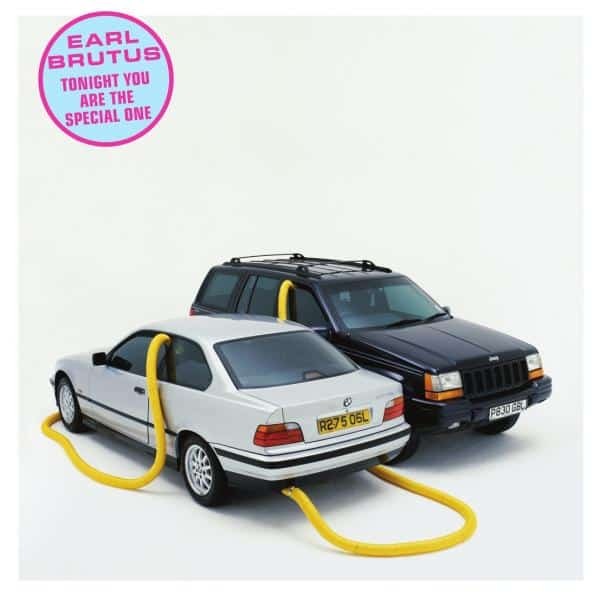 Tonight You Are The Special One is released on vinyl for the very first time. Earl Brutus are Nick Sanderson (Clock DVA, Jesus And Mary Chain, World Of Twist), Gordon King and Jim Fry (World Of Twist), Rob Marche (JoBoxers, Subway Sect) with Shins and Stuart Boreman. Earl Brutus achieve notoriety and cult status with the release of their debut album Your Majesty… We Are Here. Their attention grabbing interviews and gigs attract wider interest and they sign to Island Records via Fruition. The album sleeve is included in Q magazine’s 100 Best Album Sleeves Of All Time in 2001. Artist Scott King is art director for this re-issue. King realised the concepts for the original release and singles and this LP release allows you to appreciate the artwork in large 12” x 12” scale for the very first time. This vinyl re-issue is on heavyweight 180gsm vinyl and includes an MP3 download card, specially designed for this release by Scott King. Offset printed in 4 colours with album artwork silk screen printed with a gloss varnish on a 320gsm coated board. Die cut and glued. Offset printed in 4 colours on a 240gsm off white uncoated board. Die cut and glued. Pressed on 180gsm heavyweight vinyl with all centre labels printed in 1 colour.